Aug. 26 has been designated Women’s Equality Day to celebrate American women achieving full voting rights under the 19th Amendment to the U.S. Constitution. 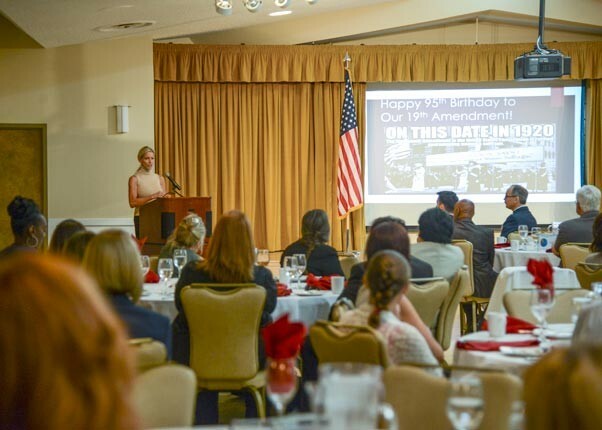 A Women’s Equality Day Luncheon was held at Club Muroc in honor of the occasion. 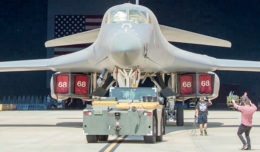 EDWARDS AIR FORCE BASE, Calif. — Ninety-five years ago, American women achieved full voting rights under the U.S. Constitution by passage of the 19th Amendment. Today, Aug. 26 has been designated Women’s Equality Day to commemorate that historic event. 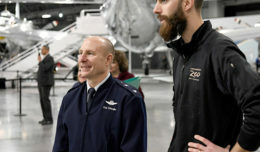 At Edwards, celebration took place in the form of a luncheon at Club Muroc championed by the 412th Electronic Warfare Group. Keynote speaker at the luncheon was Juliana de Beers, owner of JB Whitney and Associates, a training company that specializes in career development. She shared her personal path to discovering what kind of woman she wanted to become. “I’m from that era where …respectable families in my neighborhood, the only way that the women would work is if they became teachers. So that’s what I did, I became a teacher,” she recalled. She remembers her mother, “a hard-working Christian woman” who stayed at home fixing meals for the family, mending clothes and teaching de Beers to sew. “I hated it. I wanted to be outside on our ranch and dirty, with my brothers,” said de Beers. Then there was her father, “the sweetest” World War II veteran who was recognized as the head of the household. But according to de Beers, it was her mother, a powerful matriarch who really ran the show. And the same thing, she believes, was happening in other homes – though it was never really talked about. Over time, de Beers struggled to discover what it meant to be a strong, independent-thinking woman without being devoid of a relationship and being loved. She closed with her tips for successful business women of the future. She encouraged women to lower their voices, shake hands firmly, save their tears for their pillow and never take things personally. “I am hoping that we can also teach our daughters to stand for something other than themselves,” said de Beers. Jon Ghent, Lockheed Martin engineering manager spoke on women in the fields of Science, Technology, Engineering and Mathematics (STEM). Part of his job as an engineering manager is to recruit, hire and retain employees. When it comes time to fill a critical STEM role, Ghent said that the female candidates are few and far between. According to a 2011 U.S. Department of Commerce report, women fill close to half of all jobs in the U.S. economy and yet account for less than 25 percent of STEM careers. “As I did a little more research, the one thing that I found over and over again in all the literature, was the critical lack of STEM skills in our work force. Simply put, we do not have new capital to maintain our global, economic leadership in STEM,” said Ghent. Ghent believes the solution goes deeper than encouraging young girls to go into STEM fields. “We all create the limited social narratives that we provide for our young women and girls that tell us what they can and cannot do, what they should and should not do and that STEM roles are best filled by men,” he said. He encouraged everyone in the room to first think of ways to encourage young girls to think, explore, create and innovate. Then he urged women in STEM fields to stand up and be seen so that there is no lack of role models. And finally, he asked each person to have conversations about the roles of women in society as often, and with as many people, as possible. “Talk about the importance of women to improving our innovation and supplying the critical skills of creativity that’s going to drive the future prosperity of all of our citizens,” he urged. Col. David Radomski, 412th Test Wing vice commander, closed the luncheon with a little bit of history. “Women were granted the right to vote in 1920, less than 100 years ago, it sounds like a long time,” said Radomski. To put things in perspective, he shared that when colonists first came to America, many colonies allowed women to vote. It wasn’t until after winning the Revolutionary War that the colonies started to revoke that right. He urged every woman in the room to exercise that right and vote.